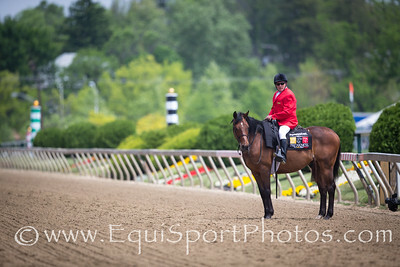 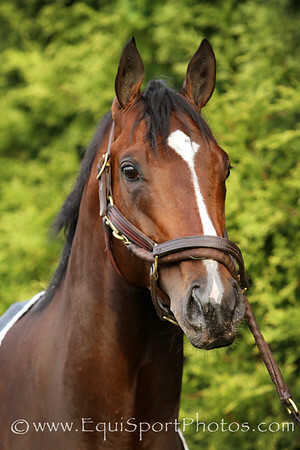 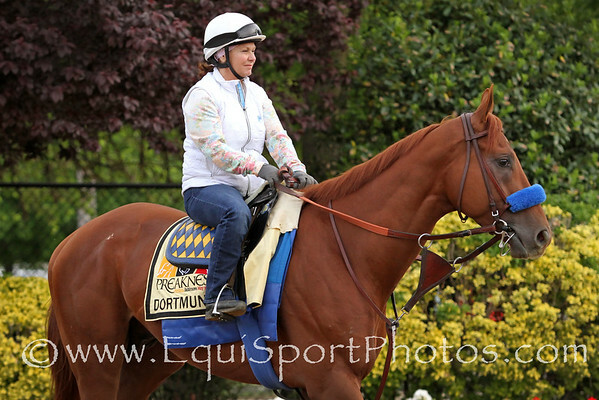 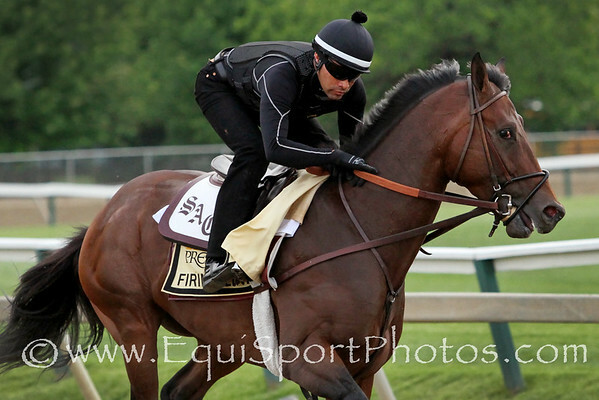 Firing Line (Line of David) gallops at Pimlico Park on 5.15.2015. 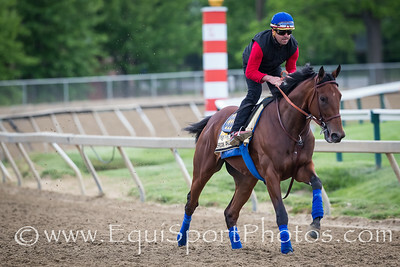 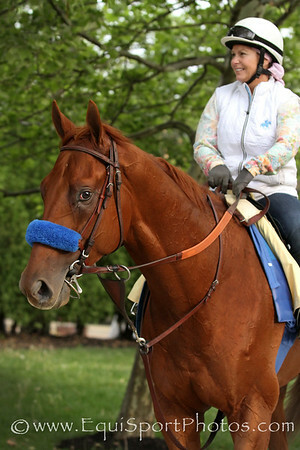 American Pharoah gallops at Pimlico 5.15.15. 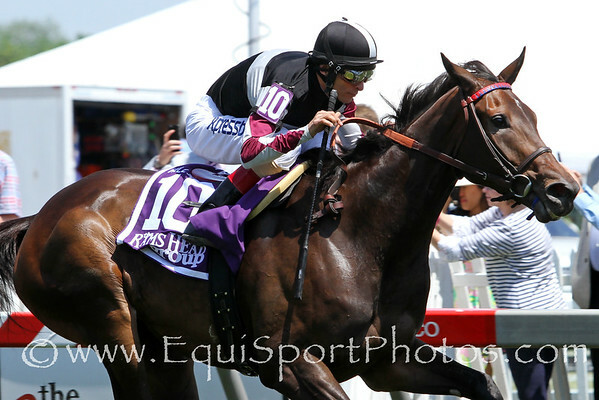 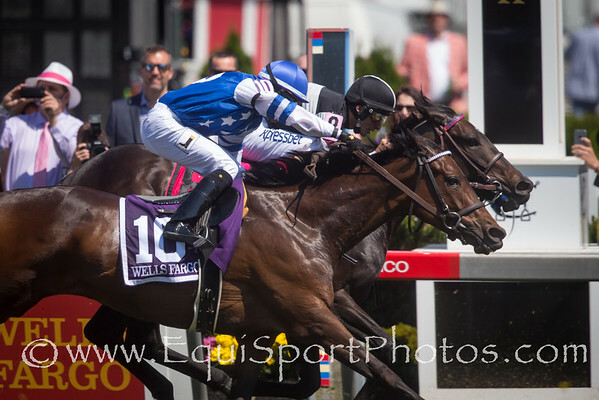 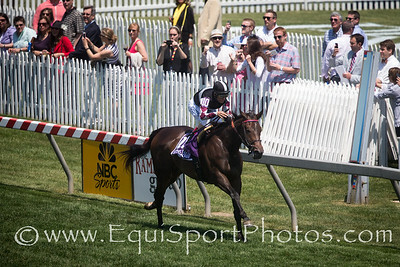 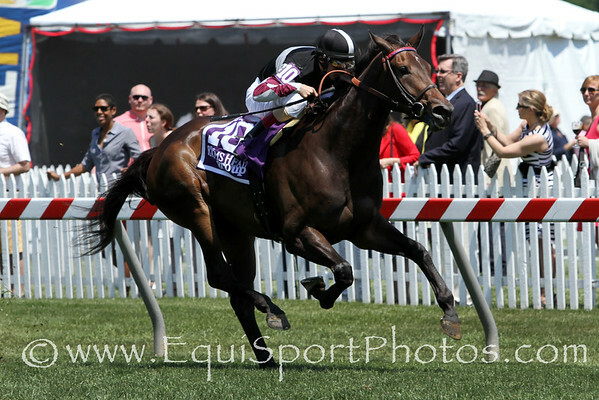 Miss Temple City wins the Hilltop stakes at Pimlico on 5.15.2015. 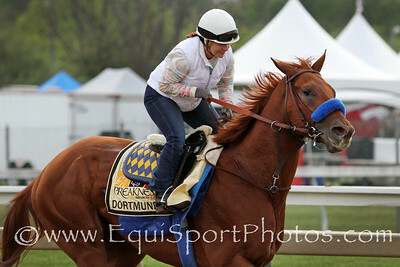 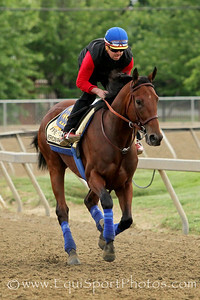 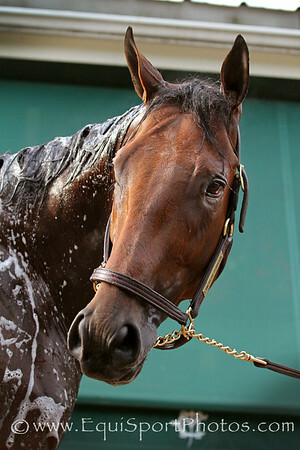 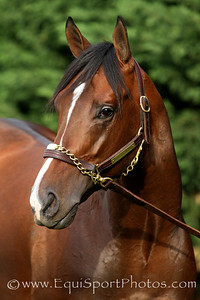 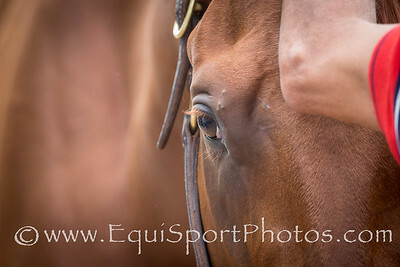 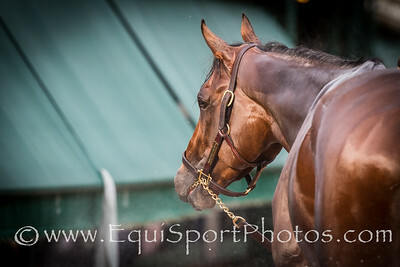 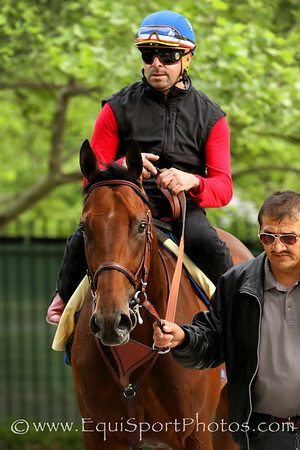 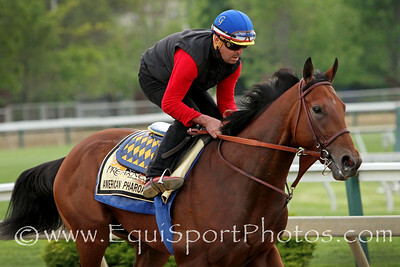 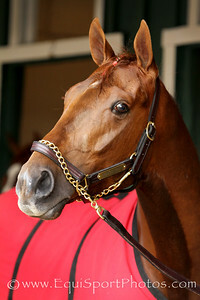 Johnny Velazquez up, Graham Motion trainer, Sagamore farm owner.